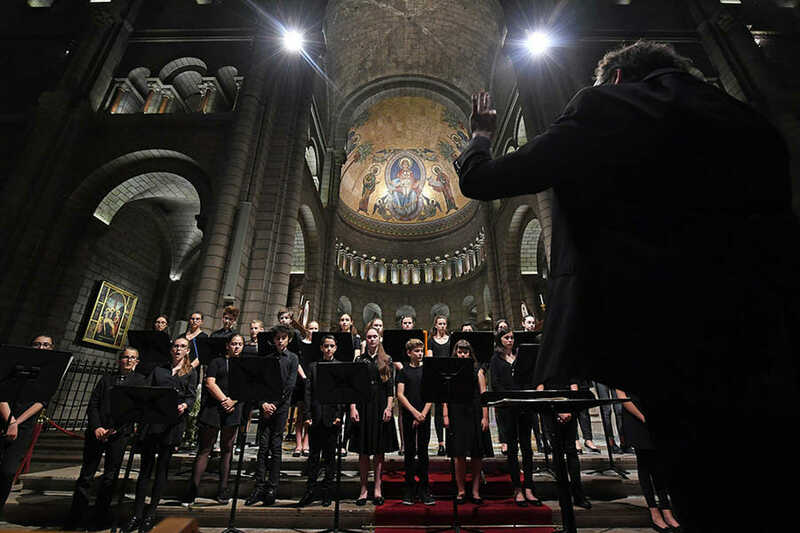 The two children’s choirs of the Principality joined together for a new evening of music in the Cathedral on Thursday, for the construction of the Agora, the diocesan house. Les Petits Chanteurs de Monaco and the Children’s Choir of the Rainier III Academy of Music teamed up for an exceptional concert, directed by Pierre Debat, Chapel Master of the Prince’s Palace and the Cathedral of Monaco and Director of the Les Petits Chanteurs de Monaco and Bruno Habert, professor of choral music at the Rainier III Academy of Music. In the first part of the concert, the young people from the Academy of Music performed works by Maurice Ohana, Benjamin Britten, Pablo Casals and John Rutter. Then the Little Singers presented, for the second part, a varied repertoire: Marc-Antoine Charpentier, François Couperin, Johann Sebastian Bach, Gabriel Fauré, Johannes Brahms, Engelbert Humperdinck, Philippe Maze, Julien Joubert and Sally De Ford.